In Peru lässt sich Reichtum nicht mit Geld messen: Die wahren Schätze des Landes sind unvergessliche Erlebnisse und Begegnungen. Mit den drei geographischen Welten, den Anden, dem Amazonasgebiet und der Pazifikküste, ist Peru an Vielfalt kaum zu übertreffen und erfüllt Reiseträume für Jedermann. Es erwarten Sie beeindruckende Hochkulturen, imposante Landschaften, dazu herzliche Menschen, farbenfrohe Traditionen und eine preisgekrönte Küche. Natur- und Kulturerlebnisse können so optimal kombiniert werden. 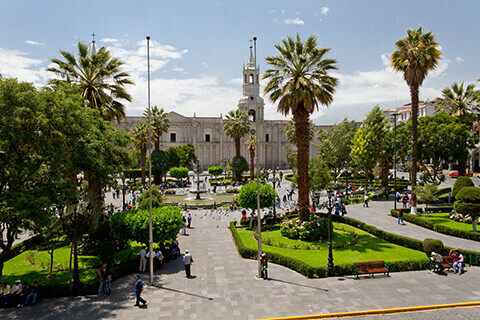 Die klassische Reise beginnt in Lima und führt von dort aus in den Süden, entlang der Panamericana bis nach Paracas, von dort in die weisse Stadt Arequipa, nach Puno an den Titicacasee und schliesslich nach Cusco und Machu Picchu. Für Naturliebhaber empfiehlt sich eine Verlängerung in Madre de Dios, dem Dschungelgebiet im Süden des Landes. Ein echter Geheimtipp ist der Norden Perus: Trekkingfreunde zieht es nach Áncash, wo der höchste Berg des Landes, der Huascarán, sowie der Alpamayo, der sogenannte schönste Berg der Welt, in den blauen Himmel ragen. Mindestens genauso faszinierend sind die Region Amazonas mit Kuélap, der Festung der Nebelkrieger und dem Gocta Wasserfall, oder die Moche Route durch die Regionen Lambayeque und La Libertad an der Küste. Den Amazonas-Regenwald rund um Iquitos kann man besonders gut im Rahmen einer Flusskreuzfahrt entdecken. Und auch Perus Strände sind nicht zu verachten. 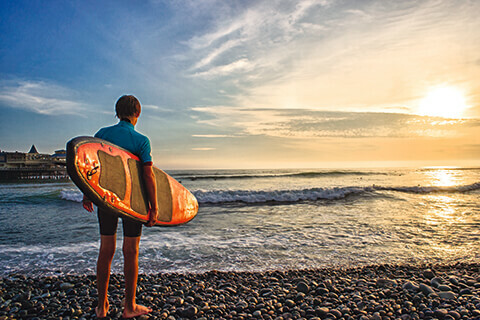 Rund um Piura und Tumbes gibt es eine Menge Badeorte mit tollen Stränden, die nie überfüllt sind und wo vor allem Surfer und Wellenreiter voll auf ihre Kosten kommen. 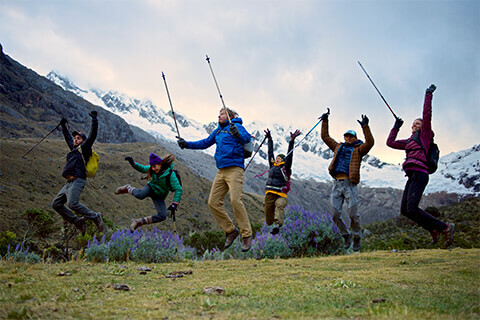 Sie wollten schon immer mal nach Peru reisen? Dann nehmen Sie jetzt an unserem Gewinnspiel teil und gewinnen Sie eine 7 –tägige Reise sowie das passende Reisegepäck. Viel Glück! Der Gewinn wird gestellt von Brasa Reisen. Reise ist buchbar nach Verfügbarkeit, Hochsaisonzeiten (Juli-August)/Ferienzeiten (Weihnachten und Silvester/Neujahr) sind ausgeschlossen. Der Gewinn kann bis Mitte des Jahres 2020 angetreten werden. Internationaler Flug mit KLM Airlines in der Eco Class ab/bis Zürich inkl. Steuern und Gebühren. Die Reise beinhaltet 6 Übernachtungen in Mittelklassehotels, inkl. Frühstück. Ich möchte mehr von Samsonite hören und abonnieren den Newsletter. **Wir verwenden die von Ihnen zur Verfügung gestellten personenbezogenen Daten, um Ihnen Informationen über unsere Produkte und Dienstleistungen zu senden und um E-Mails und die Werbung auf Ihre Interessen oder Einkäufe bei uns abzustimmen. Indem Sie hier klicken, stimmen Sie unserer Datenschutz- und Cookies-Richtlinien zu. Sie können dies widerrufen, indem Sie auf die entsprechende Schaltfläche klicken, die sich in jeder Ihnen gesandten E-Mail befindet. „Wir“ steht für Samsonite AG, Riedstrasse 8, 8953 Dietikon, Schweiz. 1. INTRODUCTION: SAMSONITE AG, Riedstrasse 8, 8953 Dietikon, Schweiz (hereafter “Organiser”) is organizing the ‘Peru Traumreise Raffle, hereafter “the Raffle”, as described in these terms and conditions. 2. ELIGIBILITY: The Raffle is open to every resident in Switzerland that has obtained the legal age, hereafter “The Participant(s)”. Directors, officers, management, employees, other staff, agents, distributors and wholesale customers of SAMSONITE and family members thereof or any of its affiliated companies or any other persons involved in the making of this Raffle are not eligible to enter this Raffle. Any participation not complying with these terms and conditions is invalid. SAMSONITE explicitly reserves the right to refuse or remove a Participant, at its sole discretion, in the event SAMSONITE determines a Participant does not comply with all rules and regulations as contained herein. For the aforementioned reason, all responsibilities relating to the participations to the Raffle will be borne by the Participants who, it is understood, participate under their own responsibility and risk. In the event that any misfortune or damage should be experienced on the side of the Participant(s), SAMSONITE will not be responsible. 3. ENTRY WINDOW: The Raffle is open from 08 April at 10 a.m. until 19 May 2019 at 11:59 p.m. CET (hereafter “the Raffle Period”). Participation is only valid during the Raffle Period. 4. HOW TO PARTICIPATE: The Participants can enter the Raffle on the following website http://www.samsonite.ch/de/gewinnspiel-peru or http://www.samsonite.ch/fr/concours-peru. Entry to the Raffle is free. To enter, entrants must visit the SAMSONITE site at http://www.samsonite.ch/de/gewinnspiel-peru or http://www.samsonite.ch/fr/concours-peru, and will be able to play the Raffle without buying a product. The participants have to fill out a form with their firstname, lastname and email. Prizewinners shall be informed 2 weeks after the Entry Window of the Raffle on May 19th. SAMSONITE reserves the right to reject any deficient, fraudulent or inaccurate entries. 5. WINNER NOTIFICATION: SAMSONITE will announce the winner on 31st May 2019. Only one Participant can win the Raffle. SAMSONITE reserves the right to contact the winner via e-mail. The winner will be advised by e-mail sent to the e-mail address given when participate to the Raffle. Any change in e-mail/physical address may be sent to marketing.ach@samsonite.com. If, having determined the winner, doubts appear over the accuracy of contact details provided by the winner, SAMSONITE reserves the right to ask a copy of the passport/identity card in order to validate the allocation of the prize once and for all. The winner should confirm that she accepts the prize and the conditions for allocating the prize, by replying to the confirmation e-mail within 3 days from receiving it. She should supply her full contact details (name, first name, e-mail and postal addresses). Failure to confirm acceptance of the prize and to provide the required information within the stated timescale will result in the winner losing the right to claim the prize and its reallocation to a new winner. Upon prize forfeiture, no payment or other compensation will be made to the original potential winner. The contact date may be delayed due to unexpected circumstances. Decisions made by SAMSONITE are final on all matters relating to the Raffle. SAMSONITE will not discuss the Raffle results and will not respond to any requests for comments on this subject. 6. PRIZES: The prizes cannot be returned and cannot be taken as cash. Each prize is awarded “as is”, without warranty regarding the underlying services of performance. SAMSONITE is not responsible for direct or indirect damages that occur as the result of the use or loss of the prize, regardless of cause. Only the owner of the email address will receive a prize. 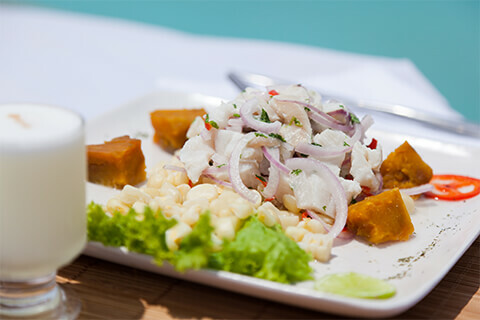 • Raffle Prize: 1st prize: Flight to Peru (Zürich - Lima) with KLM and 7 nights Bed and breakfast. Travel is bookable according to availability, high season / holiday periods are excluded. Winner has to be in possession of a valid passport (Travel documents must be valid for at least six months beyond the trip and still contain at least two free pages). The organization of the 1st prize is entirely handled by Weltmeyster, Jens Rosenthal, Lütticher Straße 51, 50674 Köln, 0221 7329786. Samsonite AG will bring the winner of the 1st prize (hereafter ‘the Trip) in contact with Weltmeyster who is, as prize supplier, from that moment onwards directly fully and solely responsible for all further communication and organization of the first prize with the winner. Samsonite accepts no responsibility for any damage, loss, liabilities, death, personal injury or disappointment incurred or suffered, as a result of the 1st prize as organized by Weltmeyster. We recommend you to take adequate insurance (not included in the prize) in connection with the Trip. 7. PARTICIPATION CONDITIONS: Participants accept that: • The participation to the Raffle must be fully complete and in accordance with the Raffle’s terms and conditions (The Participants have to fill in all the required fields) and received before the end of the Raffle Period to be eligible for the prize drawings. • SAMSONITE’S decisions as to the administration and operation of the Raffle and the selection of the potentials winners are final and binding in all matters related to the Raffle and is not open for discussion with SAMSONITE. • At the time of participation, Participants are deemed to have read, understood and be in agreement with the Terms and Conditions of the Raffle. If they do not agree with them, they should not proceed with the Raffle. By continuing to participate in this Raffle, they agree to be bound by these Terms and Conditions. 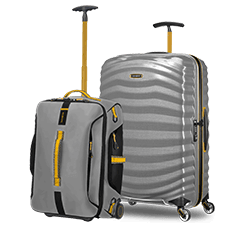 • SAMSONITE retains the right to exclude Participants from participating in the Raffle and to delete participations from the Raffle website www.samsonite.de, if these are not in line with these Terms and Conditions. 9. EXCLUSION OF LIABILITY: Except as specifically set out herein and to the maximum extent permitted by law, all conditions, warranties and representations expressed or implied by law are hereby excluded. To the fullest extent permitted by law, the Organiser hereby excludes and shall not have any liability to any entrant or prizewinner in connection with or arising out of the Raffle howsoever caused, including for any costs, expenses, forfeited prizes, damages and other liabilities, provided that nothing herein shall operate so as to limit or exclude the Organiser's liability for personal injury or death caused by negligence. By entering the Raffle, the entrant indemnifies the Organiser against any and all actions, claims, damages, expenses or liabilities suffered or incurred directly or indirectly by the Organiser in consequence of any breach or alleged breach, non- performance or non-observation by the entrant of any agreement, conditions, obligation or warranty on the part of the entrant herein. In the event that any provision of these Terms are held to be illegal, invalid, void or otherwise unenforceable, it shall be severed from the remaining provisions which shall continue in full force and effect. 11.JURISDICTION: Legal relationship between SAMSONITE and the Participants is governed by the applicable laws of Germany. Any and all legal actions or claims arising in connection with this Raffle must be brought in a court of competent jurisdiction in Germany. 12.RELEASE: SAMSONITE disclaims any liability for damage to any computer system resulting from participating in, or accessing or downloading information in connection with this Raffle, and reserves the right, in its sole discretion, to cancel, modify or suspend this Raffle should a virus, bug, computer problem, unauthorized intervention or other causes beyond the Organiser’s control, corrupt the administration, security or proper play of this Raffle. By participating in this Raffle, Participants agree that no claim shall be asserted against SAMSONITE, its affiliates or any of its respective directors, officers, employees or agents in respect of any damages, rights, claims or actions of any kind whatsoever that result from their participation to this Raffle and/or acceptance and enjoyment of the prizes. The Raffle is void where prohibited. To the extent permitted by law, the right to litigate, to seek injunctive relief or to make any other recourse to judicial or any other procedure in case of disputes or claims resulting from or in connection with this Raffle are hereby excluded and any Participant expressly waives any and all such rights. 13.AGREEMENT: By entering the Raffle Participants agree to abide by all rules. The Raffle Terms and Conditions are supplied to provide clarity. Please do not hesitate to contact us, via marketing.ach@samsonite.com, if you have any questions or remarks.